Lean brings a fundamental change in the way companies build products and manage activities. It is about validating hypotheses and aims to reduce the waste activities (not bringing value to the customer) and increase efficiency. Recently, Lean marketing has started to become popular and for a reason! Its process is primarily focused on iteration, testing, and measurement as they are the core tenants of the Lean methodology. It allows for flexibility, easy coordination with other departments, such as sales, PR or partnerships and gives incredible simplification of complex projects. Lean marketing strategy is the solution to immeasurable results. We all know that if you can’t measure it, you can’t improve it, and now we have the opportunity to make our process a tool allowing us to influence results due to empirical data and a scientific analysis. Guessing and estimating are replaced by data-driven analysis and measurable outcomes. In traditional marketing, the final product is determined beforehand and teams can’t adjust and adapt throughout the creation process. In other words, the great marketing plan. Sometimes, marketing specialists start to repeat certain activities until the end of time without measuring success regularly. Customers’ interest is not a constant and they often disengage and are pushed away by not precisely targeted, personalized or creative messages. Realistic prioritization: Focuses on realistic prioritization when creating marketing initiatives that meet customer requirements. Faster Delivery: Break large, long-term deliverables into small tasks; deliver small pieces every few weeks and aims toward an optimal solution. Frequent status meetings: (feedback loops) to discuss what’s working, what’s done and what’s keeping your team from doing more. Rapid correction: If things change or people switch context, it is rapidly corrected, without a complete overhaul. Staying focused: The Lean marketing strategy encourages people to be focused and work on single tasks. Multi-tasking is a taboo here because it only lowers productivity levels. The decision to go lean has to be a collective commitment to pursue an incremental change. It has to be discussed and mutually agreed in to order to obtain the best results. The next step is to set regular feedback loops – daily stand-up meetings, weekly KPI meetings, and monthly strategy meetings. They need to be short with clear agenda and followed by specific action items. With lean, the change happens mostly as people’s mindsets are adjusted. 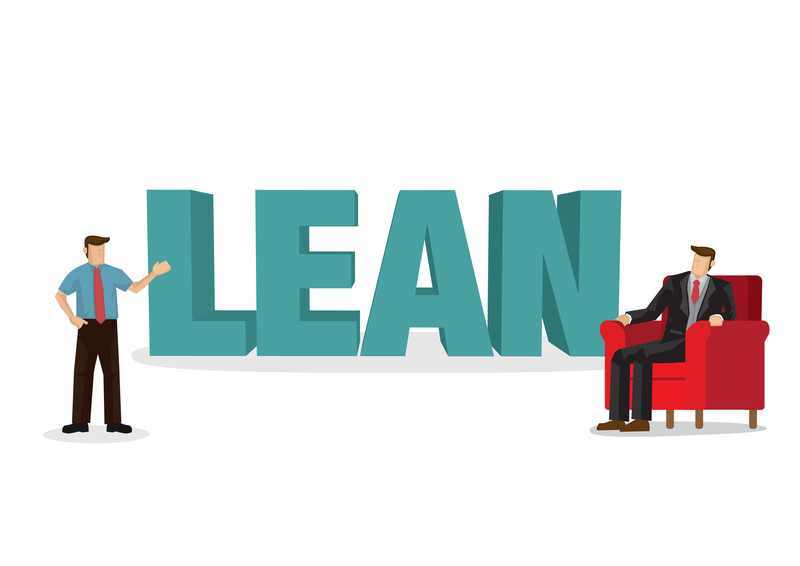 The easiest way to apply the lean principles to your process is the Kanban method. Kanban pursues small incremental changes and is easy to overlay. It adds practical steps to follow and the tools to use. Visualizing all the work on a Kanban board allows you to see where the bottlenecks of your process are and follow how every task is progressing from ‘Requested’ toward ‘Done.’ You have the original physical whiteboard with cards and now, there are the online Kanban boards, which make it very easy to begin kanbanizing your workflow. Process Efficiency: The ratio between the time a work item just sits there after being started and the time spent actively working on it after starting it. Cycle Time: This is the time it takes your tasks to reach the done state. Throughput: The number of work items that exit your system in a given time frame. WIP: The number of work items that are considered in progress at a given or past time or time frame. The Lean marketing transformation has already started, and results are proving that the trend will continue. Enhanced communication and no more ‘he said, she said,’ as all the data is on the board. Remote team members are more included in the work process and take on more initiative and responsibility. Encouraged knowledge-sharing for the sake of continuous improvement. The post How to Implement a Lean Marketing Strategy appeared first on Shmula.